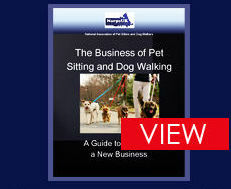 Are You Considering Starting Your Own Pet Sitting Business? If you are going to run you own pet sitting business then pet sitting insurance is a must, if a dog gets lost or bites someone or is attacked by another dog the first thing the owner is going to be looking for is to claim against you. You might be a real dog lover and think that this is ALL that matters, it's not, without some basic organisation skills and business skills your new pet sitting business cannot survive, you will need to consider a business name, a business bank account, a website, keeping financial records. There is a lot more to running your own pet sitting business than just putting a lead on and walking the dog so consider taking a Pet Sitting Business Course taking an accredited course and holding a certificate or qualification will not only inform you of everything you need to know about running your pet sitting business but also install confidence in your future clients.